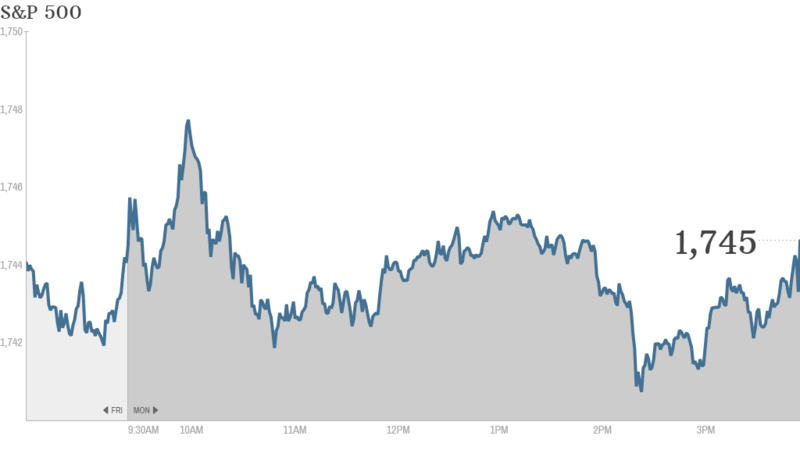 Stocks ended mixed Monday as investors brace for tomorrow's jobs report and sift through the latest corporate earnings. The S&P 500 gained less than 1 point, ending just above Friday's record high. The Dow Jones industrial average edged lower and the Nasdaq posted a small gain. Investors jumped back into the market last week after the U.S. government reopened and lawmakers ended a budget showdown that threatened the nation's credit rating. But the tone was more muted Monday as investors assess the economic damage caused by the shutdown and weigh the outlook for corporate earnings. "The market will be looking for an excuse" to pull back by 1% or 2%, said Peter Cardillo, chief economist at Rockwell Global Capital. That excuse, he said, might be the September jobs report, which will be released Tuesday after being delayed by the partial government shutdown. At the same time, investors say the lingering uncertainty in Washington means the Federal Reserve is unlikely to taper its bond buying program this year. That, along with continued improvement in the economy, could help support stocks in the short run. 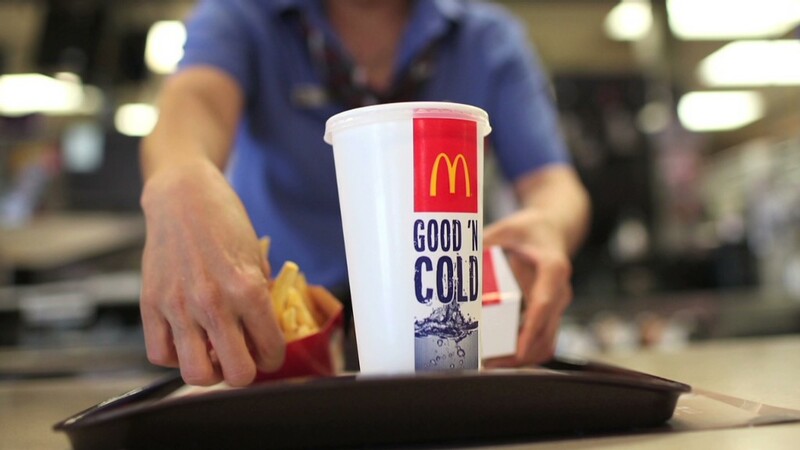 McDonald's (MCD) shares fell after the fast food chain reported earnings that met expectations, but global sales growth was tepid. Halliburton (HAL) shares fell after the oil field services company's earnings met expectations. AT&T (T) shares gained after the company announced over the weekend that it had inked a $4.8 billion lease deal with Crown Castle International Corp (CCI). GE (GE) was also a top performer after the company reported solid results Friday. After the market closed, Netflix (NFLX) reported better-than-expected earnings for the third quarter. The online TV and movie rental service also projected higher sales and profit for the current quarter. Shares were up in extended trading after gaining more than 6% during the session. Shares of JPMorgan Chase (JPM) were little changed following news over the weekend that the bank and the Department of Justice have tentatively agreed to a $13 billion civil settlement to resolve several investigations into the bank's mortgage securities business. Despite the record fine, the settlement would be a positive for the stock since it means JPMorgan can finally move beyond its legal woes, according to analysts at Biard Equity Research. The analysts said JPMorgan trades at a roughly 15% discount to rival large-cap banks such as Bank of America (BAC) and Citigroup (C). Apple (AAPL) shares gained one day before the company is expected to reveal its first revamped iPad in a year. Apple, which reports earnings next week, was also upgraded to "Buy" by analysts at Societe Generale. "$AAPL Triple whammy of positives. 1) just crossed 513 2) iPad event with possible CHL deal 3) ER next week. Good buy right here IMO," wrote mjhtradepro. On the economic front, the National Association of Realtors said existing home sales fell 1.9% in September. The group said rising interest rates and the fallout from the government shutdown will weigh on the housing market in the months ahead.